Editor’s Note: Another Guest Post from Karin! She visited the newest indoor place to play in Somerset County this past July! Check out her great pics! 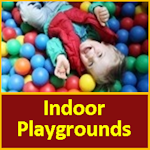 Editor’s Note: Many thanks to Kim from BSC (Branchburg Sports Complex) for allowing us to visit and explore the BSC Play Maze. We had a great time. Check out all our pictures and video below. This place is a perfect spot to have a playdate, meetup or if it’s rainy and you have restless kiddos. Update: We visited back in November and have our review!!! Editor’s Note: We are woefully late in posting about this indoor amusement park, and thankfully Fran from Funtime America shared some photos prior to us going there. This is informational purposes only and not a review. We will go there shortly! Editor’s Note: Oh hi! It’s Sheila, hope you are doing well this winter. I know I know I’ve not updated the site in a while, I’ve started other projects, and my love of playgrounds and places to play had to take a back seat in priorities, but I’m happy to write this quick write up. In late January, we asked our close to 4000 Facebook fans to tell us their favorite places to visit and things to do during Presidents Day Weekend and we got an overwhelming response full of local hot spots, fun and inexpensive indoor ideas and fabulous places not too far away. Below is a wrap up of all the great suggestions plus some ideas of our own. See what’s hot when the weather’s not! PERMANENTLY CLOSED this post is for historical purposes only. We are sad that Kid Netic has closed, but they do have a location in Montville, NJ, if you are interested. Here is our review for Kidnetic-Montville. Hey Mercer County moms, we’re finally getting to check out some great places in the area! My Gym, in Howell is located on 2205 Route 9 North, in the Regal Shopping Center next to the White Castle. 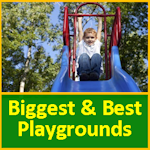 A great play area for young kids, with opportunities to climb, hang and tumble. Special Deal from our Affiliate! Sheila and I visited the BRAND NEW Kidz Village location in Woodbridge on a hot sunny day in June. CLOSED!!! THERE’s A NEW LOCATION IN MILLSTONE, NJ THAT GOES TO WEBSITE. THIS POST IS HERE FOR HISTORICAL PURPOSES! POST WILL BE UPDATED SHORTLY- RELOCATED TO EATONTOWN!